As per the variegated requirements of our clients, we are offering a broad assortment of Plastic Zig Zag Tile Mold. These molds are extensively used to create dimensionally accurate blocks with excellent finishing. 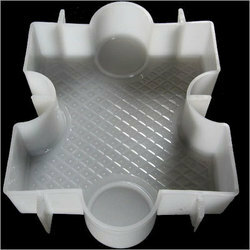 We are well acclaimed as a prominent firm engaged in manufacturing and supplying high-quality PET Blow Mould. Our offered blow Moulds operate on reheat stretch blow molding technology. We are one of the leading organizations, engaged in manufacturing and supplying excellent quality Barricade Mould. Casting is a manufacturing process in which a liquid material is usually poured into amold, which contains a hollow cavity of the desired shape . We have gained a remarkable position in the market that is involved in offering Punching Mould. We feel immensely pleased to manufacture and supply an exclusive gamut of Screw Mould. 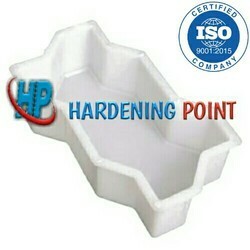 - Used for manufacturing caps of bottles.